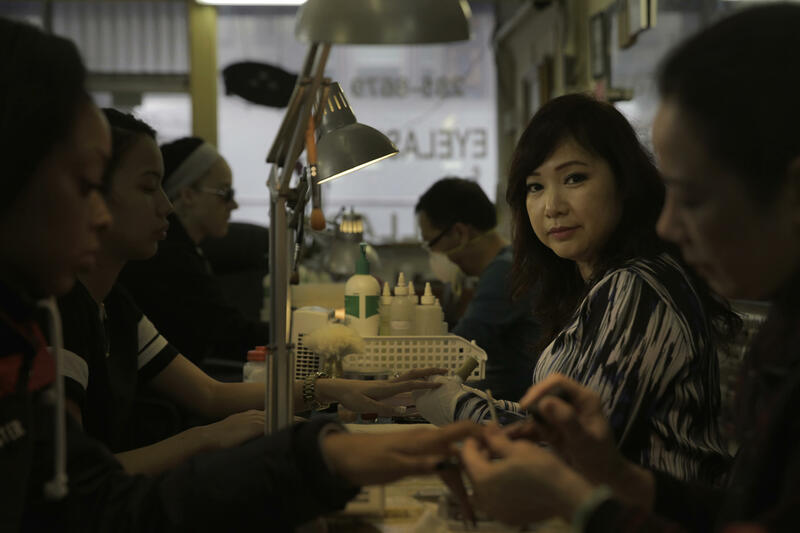 In Painted Nails we witness the American dream crumble when Van, a Vietnamese nail salon worker, discovers her health problems, including two miscarriages, are the result of toxic chemicals in the products used in her salon. She courageously becomes involved in the fight for safe cosmetics. Painted Nails enters the rich culture of Vietnamese-American Van Hoang’s bustling nail salon in the Mission District of San Francisco. The salon caters to a diverse clientele, women of African American, European, Latino, and Asian ethnicities, who come not only for the acrylic nails with original designs—each a miniature painting that might include gold stars, glittering palm fronds, or frolicking blue dolphins—but also for the caring environment. The salon clients beam as they hold up their vividly colored talons for the camera, in a proud display of their identity as women. Through the advocacy of nail salon safety groups and the media, the world becomes aware of the toxic chemicals in nail products. The California Healthy Nail Salon Collaborative and Women’s Voices for the Earth invite Van to be a candidate to testify in Washington, DC. In front of the congressional and environmental protection agency staff and the opposing cosmetic industry, Van advocates for the Safe Cosmetics and Personal Care Products Act with testimony marked by tears she fights to keep back, but which make her words all the more powerful. Mele Murals (Official Trailer) from Oiwi TV on Vimeo.